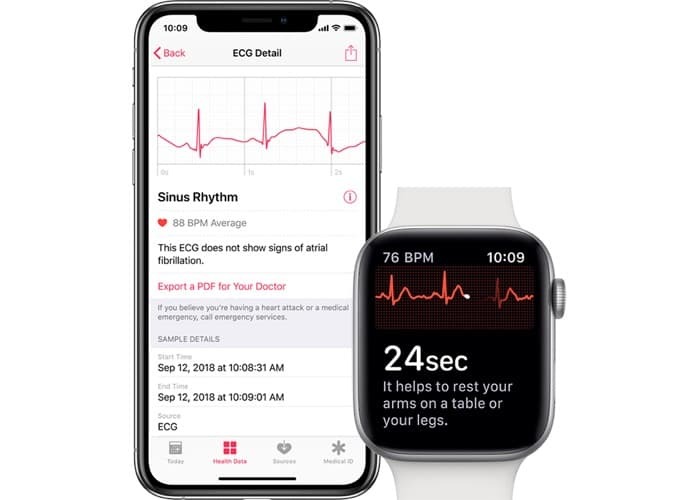 The new iOS 12.2 software brought a range of new features to the iPhone and iPad and it looks like it may have also revealed some details about the Apple Watch ECG function launching outside of the US. It looks like the ECG function could be coming to the Apple Watch in the UK and Europe soon, it may be made available when Apple releases their iOS 5.2 software update. References in the new iOS 12.2 software in the Health app suggest that we could see a launch of the feature in the UK and Europe some time soon, this will probably be made available when Apple releases iOS 5.2. The feature has been available in the US for a while, Apple had to seek approval for the app from the various authorities in the UK and Europe, just as it did in the US. In the US Apple had to get FDA approval as it basically makes the Apple Watch a medical device that is capable of measuring ECG. As yet there are no details on when the Apple Watch ECG function will be made available in the UK and Europe, as soon as we get some more information we will let you guys know.